4 - 8 May 2017 (Thurs-Mon): Only $579! Join our super travel pkg to Sunny WPB! $579 gets you 5 days, 4 nights at the Best Western Palm Beach Gardens hotel, daily breakfast and some of the best dive spots in America! Cost also includes 3 boat charters (6 total dives), tanks & weights. 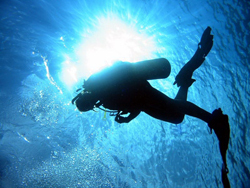 This trip won't break the bank and you'll experience some world-class diving! West Palm Beach diving is truly first-class. Jump in, navigate at will along the georgeous reefs and surface to a boat waiting to pick you up. If you've never drift dove before, you're in for a treat! TENTATIVELY... Our PADI instructor will lead the trip and conduct the training for the students in the group. 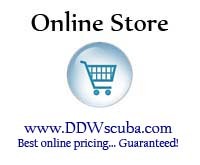 We'll start the training here and conduct the final 2 open water dives in West Palm Beach. Advanced certs also available. We'll head to WPB on Thurs, May 4th, get wet Fri, Sat and Sun and head back home on Mon, May 8th. Only twelve (12) spots available. Call 850-678-5001 or stop in to reserve your spot today!